Should elder abusers who financially exploit their older victims still stand to inherit the estate of the victim? In recent years, Washington and several other states in the United States have expanded their legislation to disqualify persons from inheriting when they abuse or financially exploit an elderly or vulnerable adult will-maker. The rationale for expanding the legislation to include abuse provisions is related to states’ efforts to reduce elder abuse. 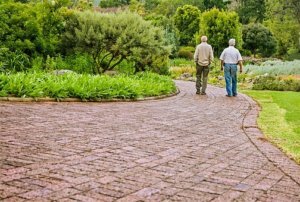 Mistreatment of elderly persons is often perpetrated by family members and other trusted individuals. 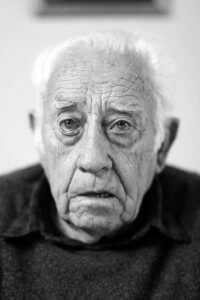 A distinguishing aspect of elder abuse cases, however, is that such elder abusers may stand to inherit from the victim. The expansion of the legislation to prohibit elder abusers from inheriting their victim’s estate will disincentivize elder abuse by those who stand to gain from the death of an elderly individual. In most jurisdictions in the United States, the Slayer Statute says that a murderer cannot retain a property interest in his/her victim’s estate. It is a common law of inheritance where a murderer is prohibited from inheriting the property of whom s/he has murdered. The slayer rule allows courts to presume the murderer disclaims his/her property interest, and therefore behave as though the murderer predeceased the victim. This has the effect of disqualifying the murderer from receiving property from the estate of the victim. In Australia, this is known as the Forfeiture Rule. It is a long standing rule of the common law that “a man shall not slay his benefactor and thereby take his bounty”. The effect of the rule is that where a person is criminally responsible for a death of another and they stand to benefit from the victim’s will or through the laws of intestacy, they are prevented from receiving any benefit from the victim’s estate. The extended conception of the forfeiture rule would require legislative implementation because it travels well beyond the scope of the current common law rule. It would allow disinheritance to occur in circumstances where abuse was proven, regardless of whether the violence had any direct link with the deceased’s death. • Private legal remedies, such as tort actions for negligence, assault or nervous shock or remedies related to financial abuse, such as undue influence or unconscionable conduct. All of these remedies require the willingness of victims to seek help in engaging the law’s protective mechanisms. For many reasons including those outlined above, victims are frequently unprepared to notify authorities and/or assert legal rights. 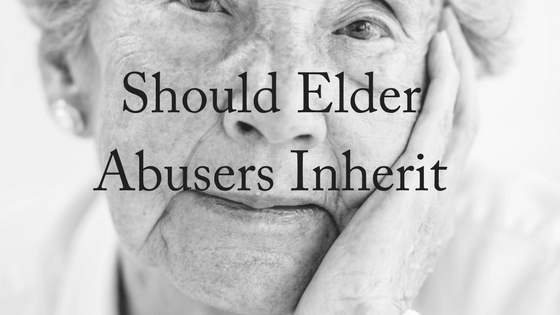 For these reasons, often elder abusers not only perpetrate the abuse while the victim is still alive but also inherit the estate once their victim dies. Since 1985 when China introduced its first inheritance law, China has used a behaviour-based legislative model, which determines inheritance rights in accordance with the conduct of heirs and claimants towards the deceased. The court can consider both positive and negative acts, punish ‘bad’ behaviour and reward ‘good’ behaviour. A much broader range of misconduct (other than killing) can disqualify a person as an ‘unworthy heir’. Abandoning or maltreating the deceased in serious circumstances or tampering with a will in serious circumstances can give rise to forfeiture of inheritance under a will or intestacy. It is a flexible system, which allows for limited forms of disqualification for less severe forms of misconduct, such as failing to support family members. In this instance, the court can declare a will partially or entirely void or reduce a wrong-doer’s share of an estate. The court carefully weighs the merits in assessing if the conduct warrants penalty. For example in assessing whether forfeiture for abandonment was warranted, the court considers the deceased’s financial and physical condition at the time of the alleged abandonment, as well as the status and circumstances of the claimant. The court will also consider mitigating factors, such as justifiable reasons for failure to support or if the deceased explicitly declined an offer of support. Considerable weight is also given to a wrong-doer’s reform and repentance and to the deceased’s forgiveness of the wrong-doer during her lifetime. In this flexible system, not only is bad behaviour punished, but exemplary conduct can be rewarded. Even non-relatives can be recognized above any claim of relative, when they show exemplary conduct to the deceased. • in creating an inheritance system, which the Chinese people see as fair. Should Australia also implement legislation in which elder abusers are barred from receiving an inheritance? If you need help with any aspect of elder abuse, writing a will or your inheritance, contact us today. Bryan Mitchell is an Accredited Specialist in Succession Law (wills and estates), so you know you’re getting the best possible advice. For your FREE, 10-minute phone consultation, contact us today.